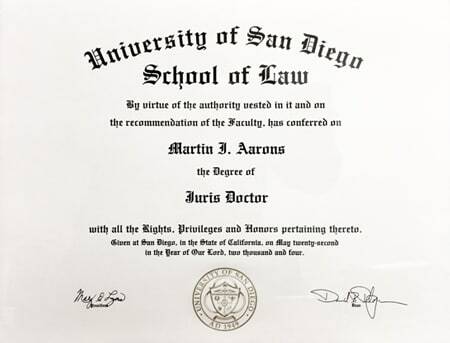 Martin I. Aarons has been an employment law trial attorney for more than 12 years. 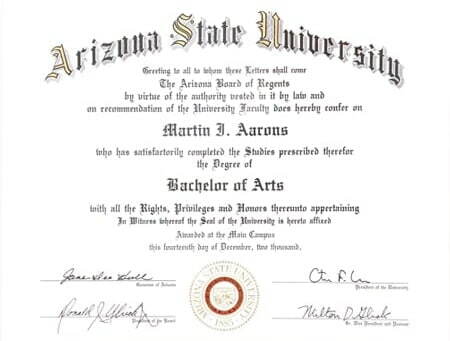 Mr. Aarons handles discrimination, harassment, and retaliation cases of all kinds, shapes, and sizes. 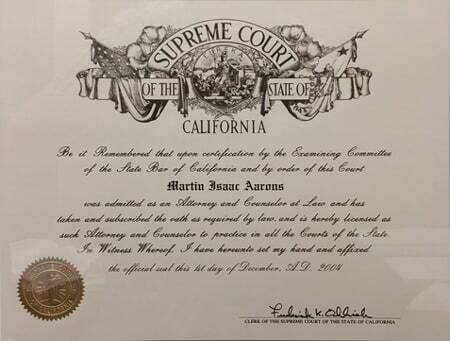 Mr. Aarons is licensed to practice in all California courts, and local federal courts. 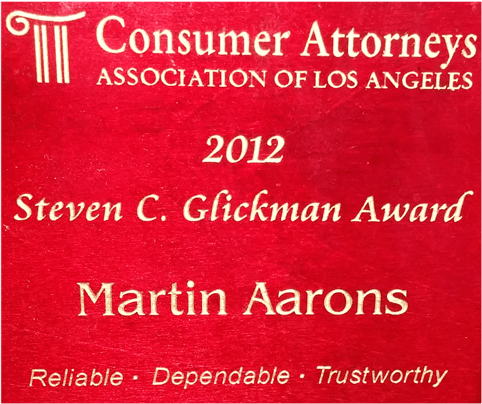 He is a member of the Consumer Attorneys Association of Los Angeles, serving on their Board of Governors. 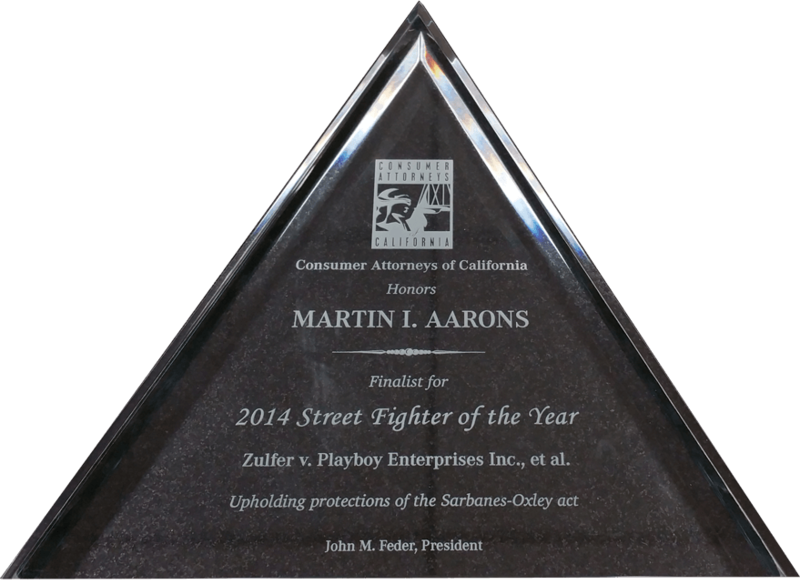 As part of CAALA, Martin was the 2014 Street Fighter of the Year finalist, he has received the Presidential Award in 2013, and the Steven C. Glickman Award in 2012. 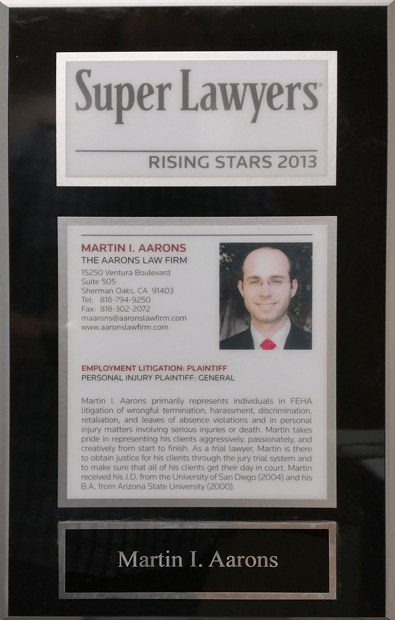 He also was selected to Super Lawyers 2016-2018, Super Lawyers Rising Star 2013-2015, Up and Coming 100 in 2015, and was a finalist for the CAALA Rising Star Award in 2015. 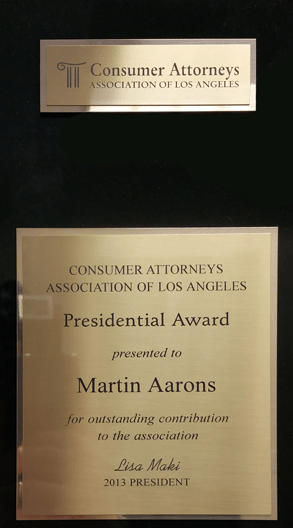 Martin is the current vice-chair of the CAALA Education Committee and has served as chair of the New Lawyer's Group from 2015-2016 and vice-chair 2013-2014. 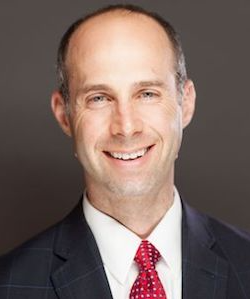 He is a frequent lecturer and speaker at various CAALA educational seminars including the CAALA Annual Las Vegas Convention, with more than 2,000 attendees. 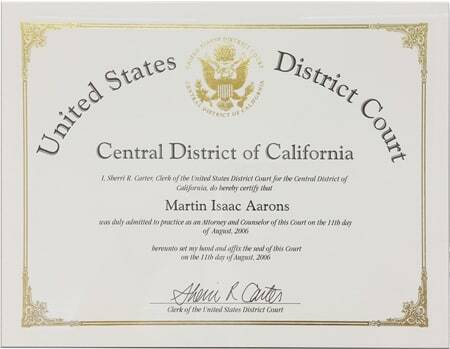 United States District Court for the Eastern District of California. 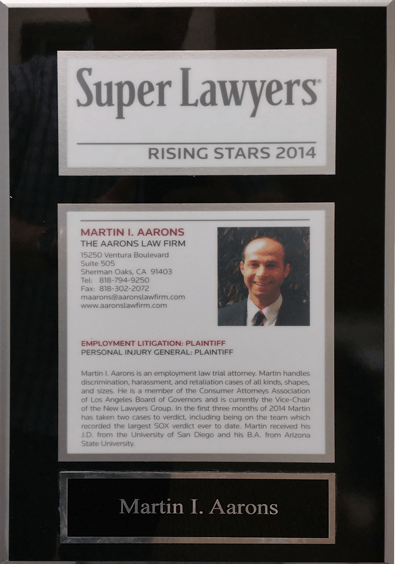 Selected to Super Lawyers 2016 - 2018.